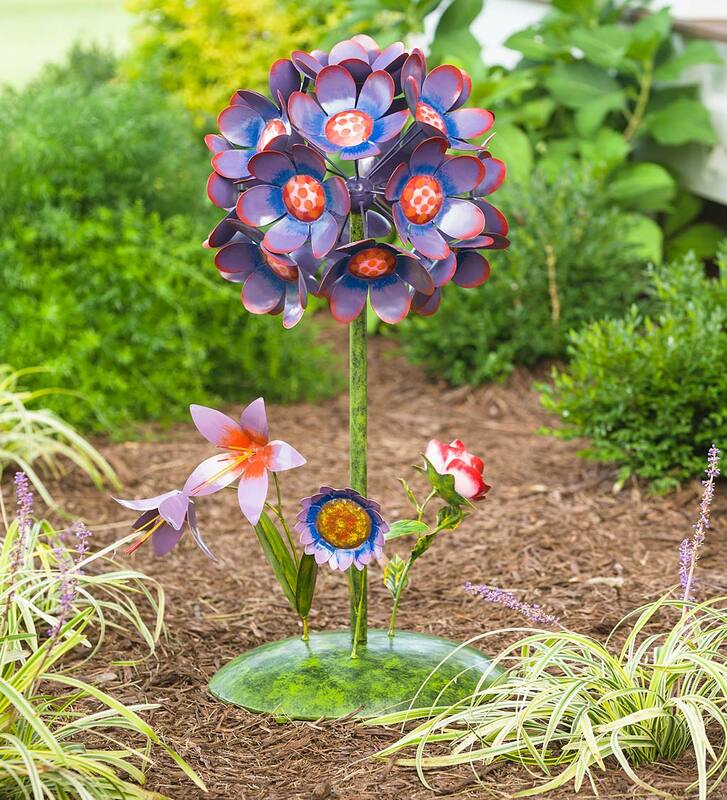 For blooming brilliance day or night, try our Stargazer Solar Glass Globe Flower Garden Stake. The solar-powered LEDs inside light up the glass globe at night for a mesmerizing 3D starburst effect. The pretty petal base and jewels accent the design. A beauty to behold any time of day or any season. 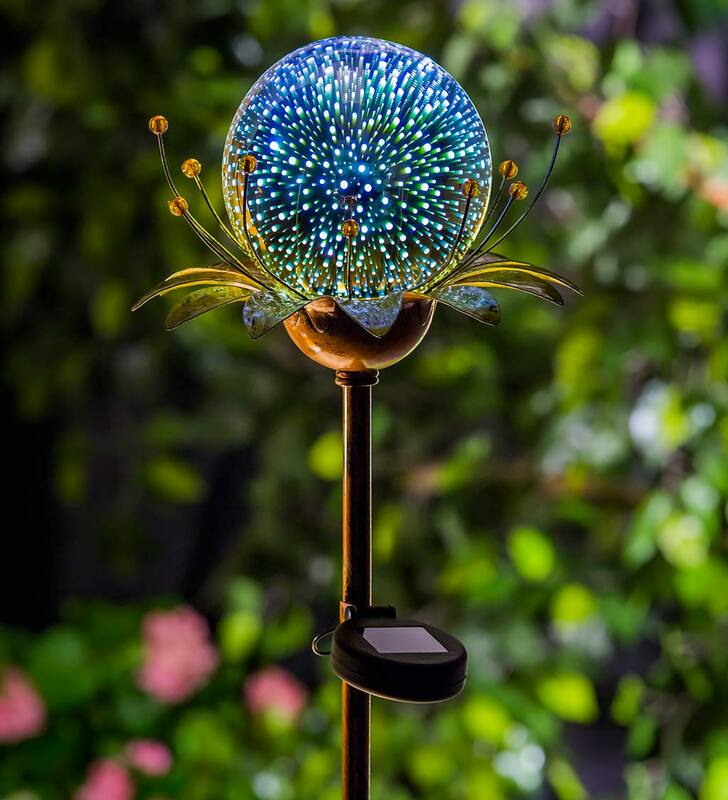 Glass globe with metal petals, faux gems and ground stake with integrated solar panel. Our Flower Bouquet Metal Garden Stake is a four-season solution for bright, blooming color anywhere, anytime. Impervious to cold snaps, heat waves and hungry wildlife, our Flower Bouquet Metal Garden Stake is lovely and low-maintenance. The flowers are always in bloom wherever you "plant" them, and they stay put thanks to ground stakes which remove for use on flat surfaces like patio or tabletop. Handmade from recycled metal by artisans in Bali. 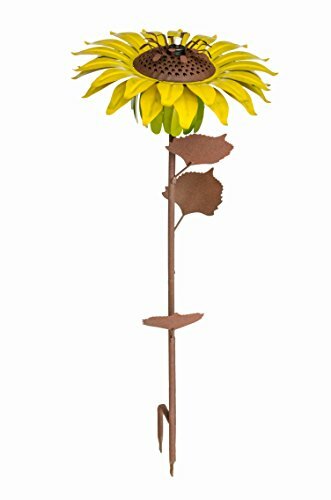 This bright yellow hand crafted metal sunflower will add a splash of light and color in both the day and night. In the day it is a beautiful piece of garden art, at night fill the torch section with citronella oil to light up your yard, and keep the bugs away. Durable and beautiful, it will bring color and light to your garden or patio year-round. Size: 14 inches wide by 32 inches tall.